That’s according to an annual survey by the AA which recorded a drop in motor insurance premiums. THE AVERAGE COST of running a family car has dropped by almost €180 in the last year, according to the AA. 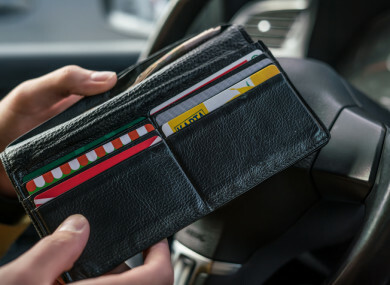 The association’s annual survey of motoring costs found that despite a minor increase in the cost of fuel, a drop in motor insurance premiums has helped reduce overall costs. The AA says the average cost of running a family car for a year is currently €10,671, a decrease of €178 (1.6%) compared to €10,849 last year. Recent data from the CSO shows that the average cost of motor insurance has dropped by 10% compared to June 2016. However, while the AA has factored in that drop, the motoring association warned that many motorists will not have seen a saving yet. The AA also warns that a year-on-year measure does not factor in the very hefty price increases that came along more than 12 months ago. Motorists saw prices jump hugely between 2014 and 2016 and they have remained high since. Faughnan added that rising motor insurance premiums have been the main issue facing motorists over the past two years. The best we can say is that when we compare August of this year to August of last, the cost did not get any worse overall. Motorists can cut costs by shopping around and adding a spouse or partner with a clean driver record onto their insurance policy. In some cases this can give drivers a discount of up to 20%. The survey also found that fuel costs have been relatively stable year-on-year. Following a series of price drops in recent months, the cost of fuel has remained largely in line with the price in 2016, increasing slightly by 0.46%. The average price of petrol at 131.9 cent per litre in July is up around 0.6c per litre on the price 12 months ago. A typical motorist in a band b car (a car that uses between 120 – 140 grammes per kilometre) will pay €1,561 for their year’s fuel, up from €1,554 – with tax making up more than 60% of that figure. Right now though the oil price is just a bit higher than this time last year which is offset by a stronger euro, so our year-on-year comparison shows only a slight change. The AA calculates the annual cost of motoring each year using a holistic figure that includes the obvious things like fuel, insurance and servicing but also factors in costs like depreciation and interest charges, as well as replacement for components such as tyres over the car’s life. The figure assumes a motorist that buys a new car and retains it for eight years at an average annual mileage of 16,000 kilometres and that all repairs, replacements and servicing are carried out as per the manufacturer’s recommendations. The full details of the AA’s Cost of Motoring analysis are available here. Email “Cost of running family car down almost €180 on last year”. Feedback on “Cost of running family car down almost €180 on last year”.